Mortgages and other financial decisions can be daunting at the best of times, so it’s good to know you don’t have to go it alone. 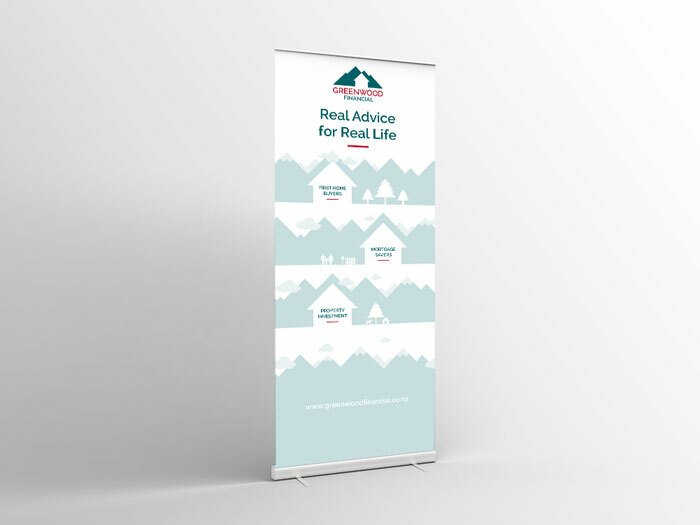 The lovely, down-to-earth Trish Greenwood of Greenwood Financial gives free, comprehensive advice for first home buyers, mortgage savers and those interested in investment property. She knows her stuff. Trish is different from other brokers. She’s a one woman business and people come to her mostly through recommendations. They stay with her because of the amazing and special service she gives. She knows all the ins and outs and is a master at communicating it all in beautifully simple language so that her clients are crystal clear on what their options are. The team at Tanker was thrilled when Trish asked us to help brand her business. Our job was to attract those who had never used her service before. We wanted to convey her caring, personable approach and clearly differentiate her from the corporate equivalent. It was essential that Trish’s personality shone through her logo, so we employed colours that resonated with her and incorporated the Crown Range mountains, which are the backdrop to Trish’s local Selwyn region. With a stunning logo sorted, our team went on to create a suite of graphics and visual elements which can be applied over a variety of platforms. 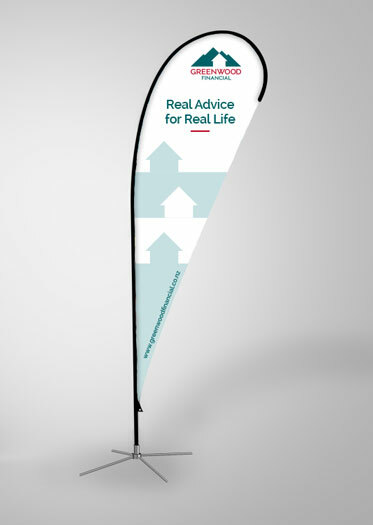 Trish needed a pull-up banner and teardrop sign to help her stand out from the corporate crowd when she attends events. We applied a combo of graphics and colour blocking to create eye-catching signage to really reflect her unique offering and get new clients walking her way. Success! When formatting for various sign sizes and shapes, having great imagery is just one part of the fun. Tanker are pros at whipping up complex files to the correct specifications to keep your printer happy and ensure the final product is just what you wanted. We can use your existing branding and imagery – or give your business a fresh new look. Talk to us about how we can help.